Westpac ruined the retirement dreams of Melbourne couple Jacqueline and Hugh McDowall with bad advice that saw them sell their home on a false promise they could borrow to buy a bed and breakfast, the banking royal commission has heard. The couple, from Melbourne’s outer east and running up to retirement in 2015, owned a house worth $485,000 and had $200,000 in superannuation when they made an appointment to see Westpac financial planner Krish Mahadevan at the bank’s Berwick branch. They told Mr Mahadaven they wanted to buy a B&B to fund their retirement. At that stage they had a mortgage on their house of $404,000, car loans worth $40,000, a personal loan of $44,000 and credit card debts of $11,000. So overall they had a net worth of $181,000. 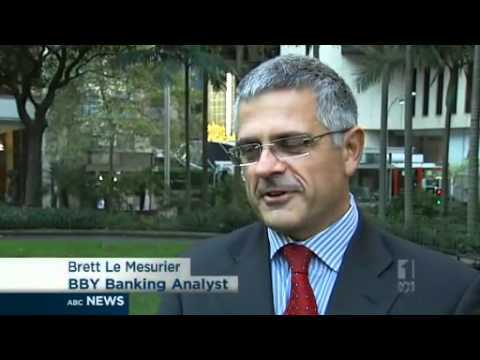 Mr Mahadaven called in Westpac loans adviser Karl Sleiman and together they hatched a plan. The couple should sell their home, set up a self-managed superannuation fund and borrow between $1 million and $2 million to buy a B&B. To make it all work, Mr Mahadaven told them they would need life insurance worth $1 million each to cover for unexpected death or illness. At that stage they had total life and disability cover of $307,000 in their two industry super funds. They were advised to start to act straight away, setting up the SMSF, selling their house and taking up insurance so they could move quickly when they found the right property. So they did as asked, selling their house for $485,000 and paying off the mortgage and personal loan. At that point they had signed up to a plan to pay Westpac $27,000 a year in insurance premiums, $5280 for the initial financial plan and a further $3000 a year in ongoing advisory fees as well as $3905 a year to run their SMSF. Once the plan was implemented they went back to see the two men from Westpac with brochures for a couple of potential B&B properties. It was then that their dreams were shattered. Mr Sleiman told them that Westpac could only lend them $200,000 given their financial situation and that would only be for an investment property. A B&B was out of the question because it is illegal to live in a property owned by an SMSF. They were shattered. “We’d been led up the garden path and lied to so Westpac could get their bit of insurance,” Mrs McDowall told the commission. “I felt humiliated and stupid … and didn’t tell my friends or family,” she said. The McDowalls moved to the Mornington Peninsula in a rented house where she said they were “overpaying for accommodation”. After complaining to Westpac, they received a series of settlement offers. The first was for $17,986 for advice costs which they rejected. That was followed by an offer of $50,988 over insurance which they also rejected. They then went to the Financial Ombudsman Service which recommended Westpac repay them $79,322, which again they rejected. In a formal finding the FOS ordered Westpac repay them $47,413 for the loss of their home and $60,061 for their superannuation, which they accepted. 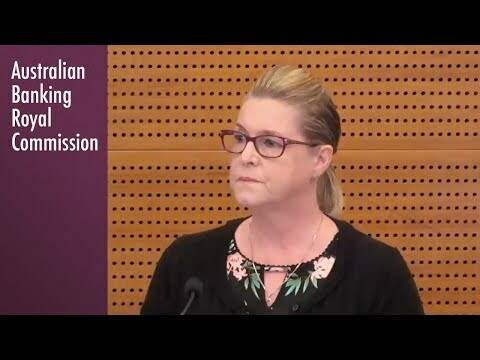 Mrs McDowall told the royal commission the $47,413 had been used to pay off debt, while the $60,061 had been paid into their SMSF which they are trying to close and put their balances in two industry funds. To date they have not been able to get their money from the SMSF or close it and are still paying fees. They have now moved to a rented house in the Northern Territory. “We had to get better jobs to save money for stamp duty and a deposit for a home,” Mrs McDowall said. Michael Wright, a senior executive in Westpac’s wealth management division BT Finance Group, told the commission the couple’s plan was “poor advice”. Mr Wright said Mr Mahadevan was still employed by BT.